Only One Survived by Craig Kodera. The beginning of the Battle of Midway. 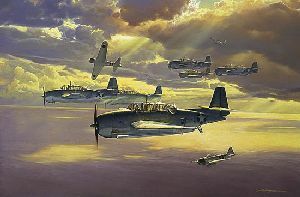 TBF Avengers on maiden combat flight.